Have you been hit by skyrocketing energy bills in South Carolina? Solar power can reduce your bill and give you energy independence. Are you ready to save money with solar power in South Carolina? South Carolina ranks 18th in the U.S. in solar energy usage. Sunny and beautiful, the Palmetto State has been a recent hot spot of installed solar capacity. POWERHOME Solar is committed to helping homeowners in South Carolina switch to solar energy and reduce their electric bills. As the leading South Carolina solar company, we’ve made it our mission to revolutionize the way South Carolinians meet their energy needs. There’s a new kind of energy in Bank of America Stadium, home of the Carolina Panthers. POWERHOME Solar will help the Panthers “go green”, maximizing their energy efficiency and reducing their carbon footprint with renewable solar energy. South Carolina homeowners who want to switch to solar power can save by taking advantage of the current federal income tax credit (ITC), a program that allows you to recover 30% of the money you’ve invested in your solar panel system. In addition, South Carolina has net metering, a program that gives you full retail credit for excess energy your solar panels feed back into the grid. Utilities must roll over monthly overages into the next month and credit you for annual excess energy generation at the end of the year. The state offers tax credits against 25% of the cost of installation, up to $3,500 or 50% of tax liability per year. Some of these programs vary, depending on who supplies your energy. We believe everyone deserves to be free from stressful hikes in their electric bills. Our objective is to make switching to solar power affordable and easy. Our first goal is to dispel the myth that South Carolina solar energy systems are costly to install. When you use POWERHOME Solar for your installation, the process is fast and affordable. With our $0 down, 100% financing program, you’ll see a reduction in your power bill with no money out of pocket. Or, if you prefer, you can choose to buy your solar panel system outright. Whichever you choose, as the electric company raises rates, you save more and more. A simple phone call will start your solar panel installation process. During this phone consultation, we’ll ask you a few questions about you and your home. This will help us determine if you qualify for solar energy. Then, we’ll set a date and time to come out to your house to gather additional information. When an energy consultant visits your home, they will assess your energy usage and take a look at your house to determine the right solar energy system for your home. You’ll get a customized proposal based on the energy needs of you and your family. After you decide to go with a solar panel system, it won’t be long before we call you to set a date for your installation. And unlike some of the solar companies in South Carolina, we also are a roofing company. As a GAF-certified company, we are dependable, professional and current on the latest installation methods. South Carolina is the home of amazing beaches, waterfalls, lakes and the beautiful Blue Ridge Mountains. With this varied terrain, South Carolina gets an average 5.72 peak hours of sunlight per day and 4.23 in the winter, daily. This is plenty of sunlight to create the electricity needed to power your home. The technology of South Carolina solar panels is at peak efficiency. The panels capture as much sunlight as possible and turn it into energy for your home. In addition, the modern solar panels are sleek, practical and designed to blend seamlessly with the roof of your home. When you take into consideration net metering and the federal and state tax credits, installing solar power is a no-brainer. If the just thought of opening your power bill makes you cringe, you are not alone. South Carolinians pay more for electricity, on average, than their counterparts in every other state. The upside is that when you start using solar energy, you’ll see more savings than most homeowners in the country. 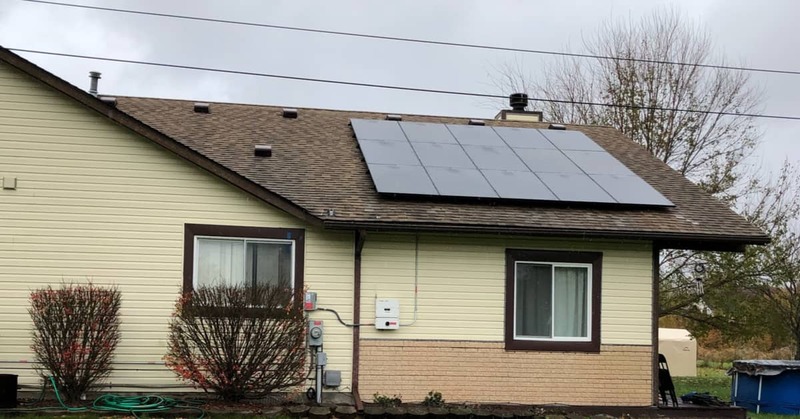 The increased efficiency of solar panel systems, and the reduced cost of installing them, make a solar panel system the best way to combat continually spiking energy bills. 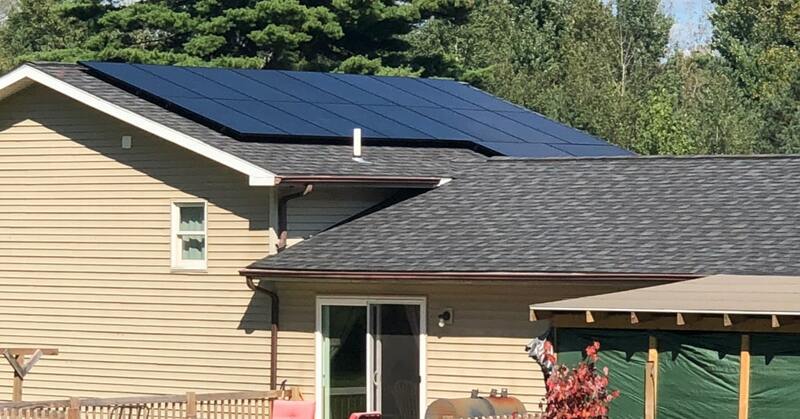 When you have a solar energy system installed by POWERHOME Solar, you are no longer at the mercy of sudden rate hikes and fluctuations in the energy market. Sunlight is clean, efficient and renewable. When you choose solar energy for your home’s energy needs, you’ll save on energy for the life of your solar panel system." How Much Will Solar Panels Save Me in South Carolina? 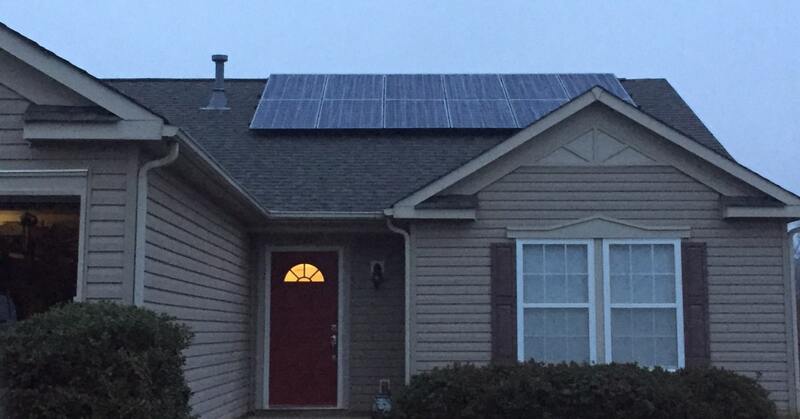 The main reason South Carolina homeowners choose solar energy is the reduction they will get on their utility bill. In South Carolina, the amount you can expect to save with solar energy depends on many factors, including where your home is located and the utility which provides your power. Contact one of our solar consultants for an estimate of how much you can expect to save by switching to solar energy. Many property owners worry about damaging their roof when installing solar panels. Since a solar panel system generally lasts 25 years or more, this is an important concern. However, when installed properly, it is very unlikely that solar panels will damage your roof. Instead, they will become an advantage, making your roof an energy generator. We are more than a solar panel installation company, we are also a roofing company. When we install your solar energy system, you can be assured that it will be installed properly. Do Solar Panels Generate Power in the Winter? Since solar panels generate power from sunlight, not heat, they will continue to supply your home with electricity all year round. Since South Carolina gets an average of 4.23 hours per day in winter, your system should produce plenty of electricity. There is a possibility that if your solar panels become covered in too much snow, your solar power production will be temporarily affected. But in South Carolina, that is not much of a concern at all.